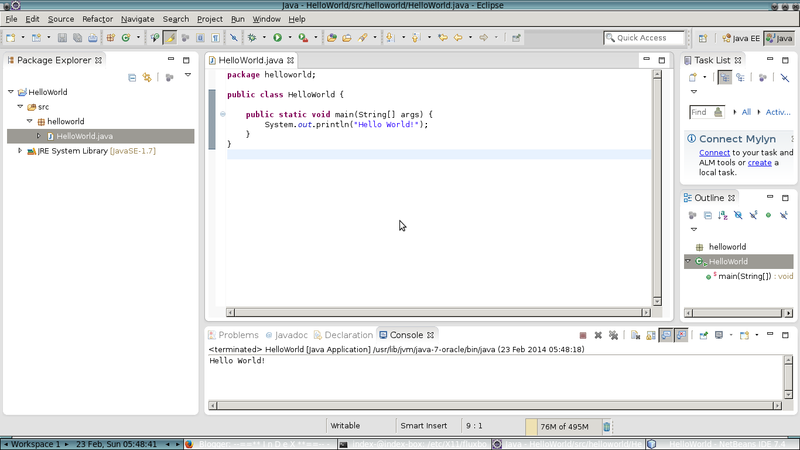 Tuts how to install and setup eclipse and netbeans IDE for Java environment and development. If you don't have Java installed yet please see this guide for furthers details https://help.ubuntu.com/community/Java. For a quick tweaks to expand jvm memory of eclipse, you must modify the eclipse.ini file located in your eclipse directory. 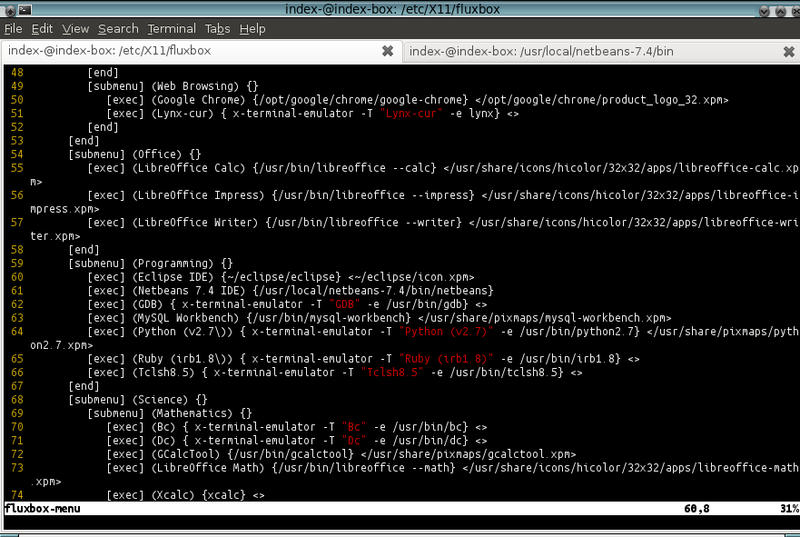 Then do `$ exec $SHELL; eclipse` in your terminal to launch eclipse IDE and your done setting up. 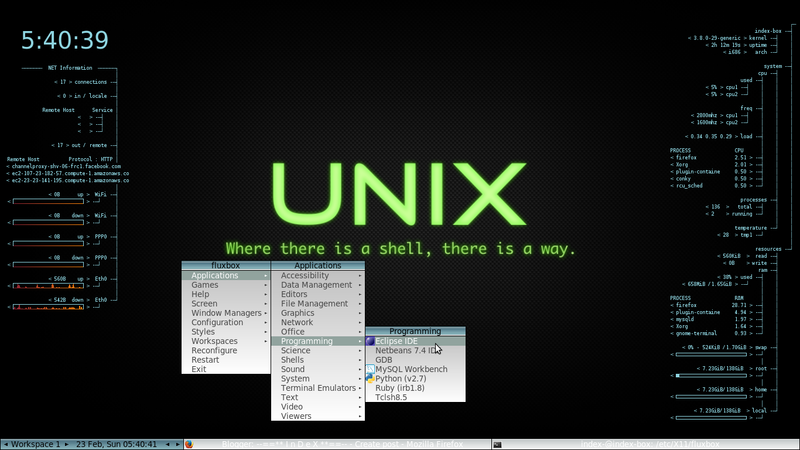 Also check out http://marketplace.eclipse.org/ for your eclipse plugins and for more tools. Take note that exec $SHELL will re initiate your current terminal, you can either close it and relaunch then do `$ eclipse` or `$ eclipse &` to run it in the background. 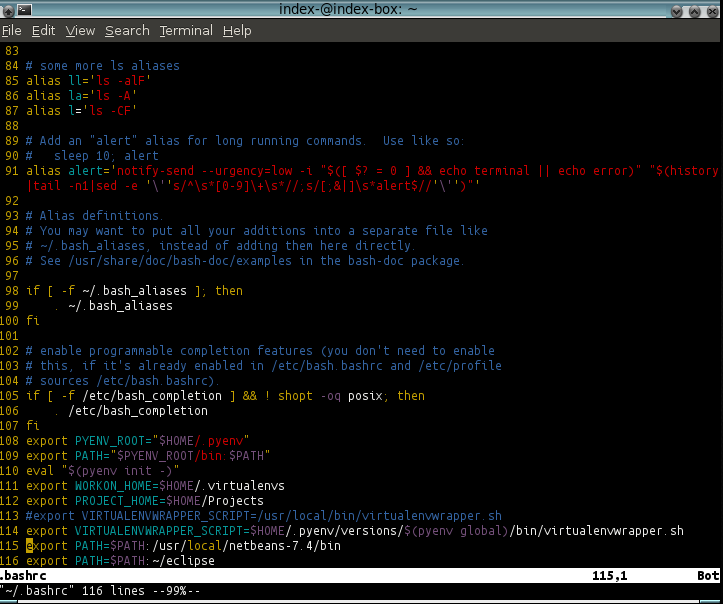 You will have this .bashrc script if you follow my instruction. After that you can now `$ exec $SHELL; netbeans` or if you have launch new terminal session do `$ netbeans` or `$ netbeans &` to run it in the background. 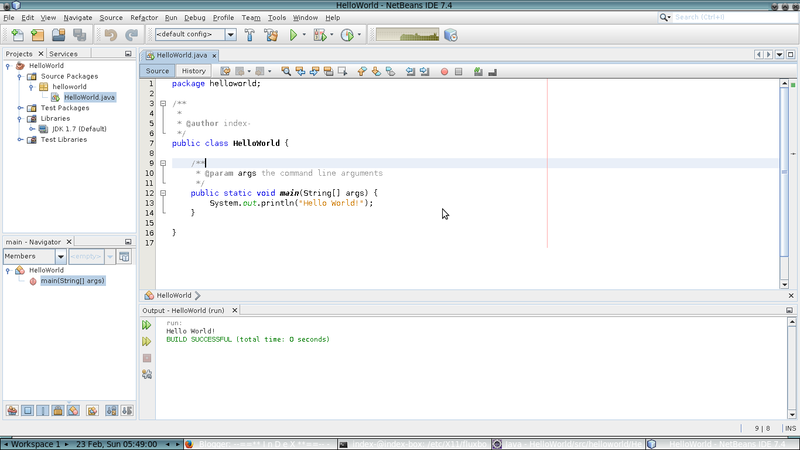 You may also check out http://plugins.netbeans.org/PluginPortal/ for netbeans plugins and tools. If you are running fluxbox as default X window in your development machine like me, you may have to configure your fluxbox menu. Then add your Eclipse and Netbeans menu like this one in my case @ line 60 and 61. Done! you are now done setting up your Eclipse and Netbeans IDE.